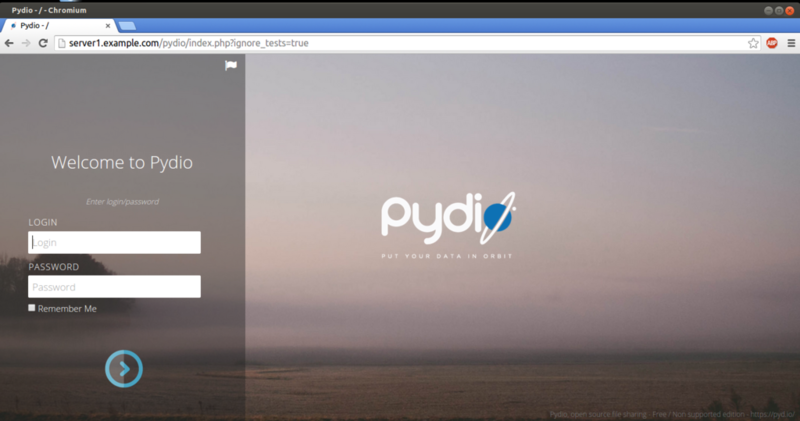 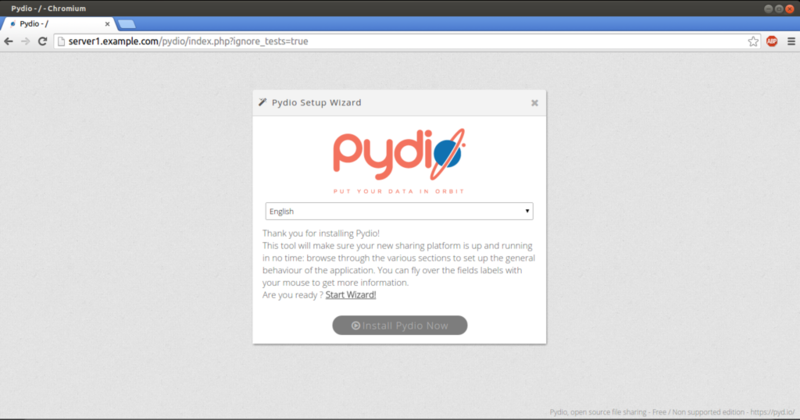 This guide explains the installation and configuration of the Pydio web ftp client in CentOS 7.0. 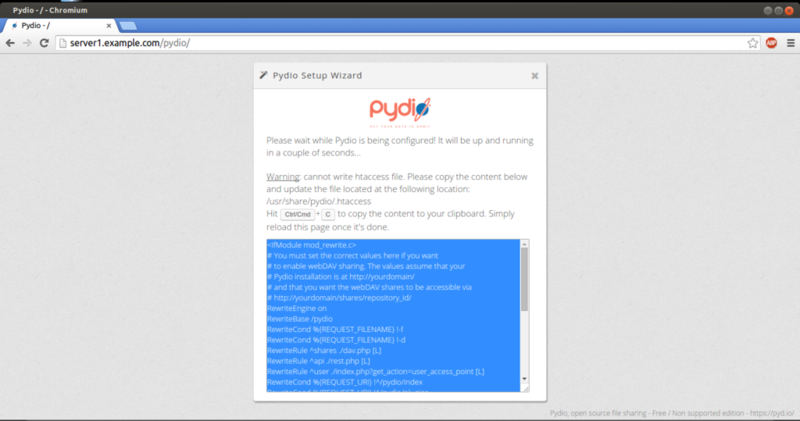 Pydio (formerly AjaXplorer) is a mature open source software solution for file sharing and synchronization. 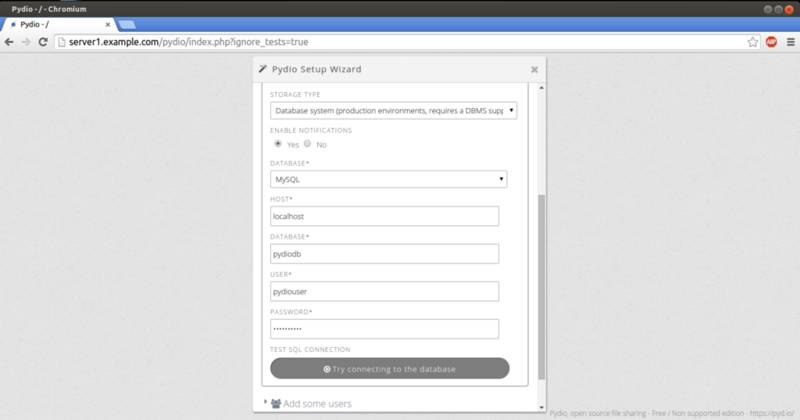 With intuitive user interfaces (web / mobile / desktop), Pydio provides enterprise-grade features to gain back control and privacy of your data: user directory connectors, legacy filesystems drivers, comprehensive admin interface, and much more. 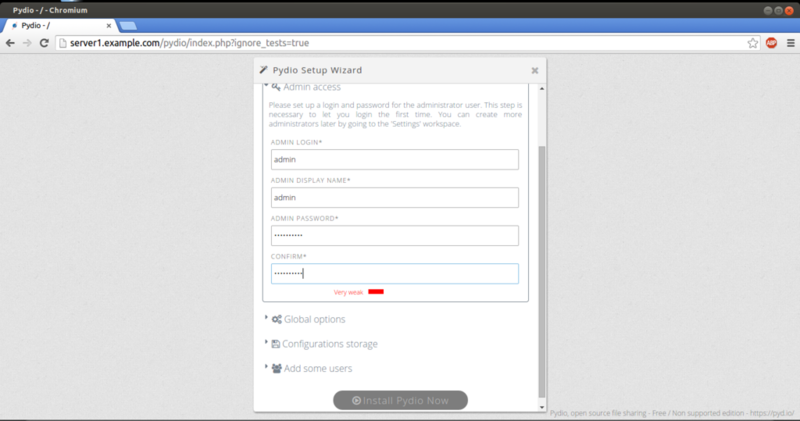 You must have LAMP server installed in CentOS 7.0 as mentioned in the tutorial. 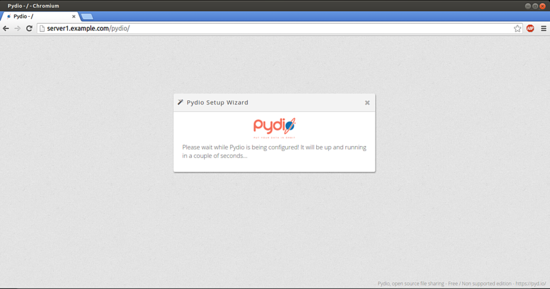 Finally restart the apache service. Select storage type as Database system, and put the Database=pydiodb user=pydiouser and password=pydiopassword OR in case if your database values are different then match them accordingly. 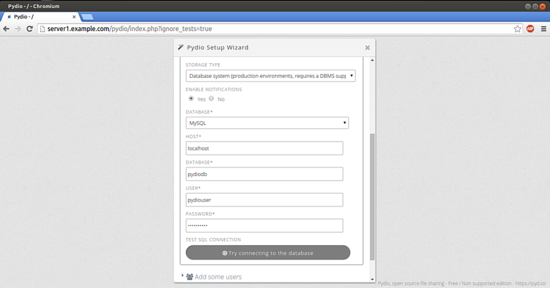 Now we are ready for the installation, if you wish you cane create more users. 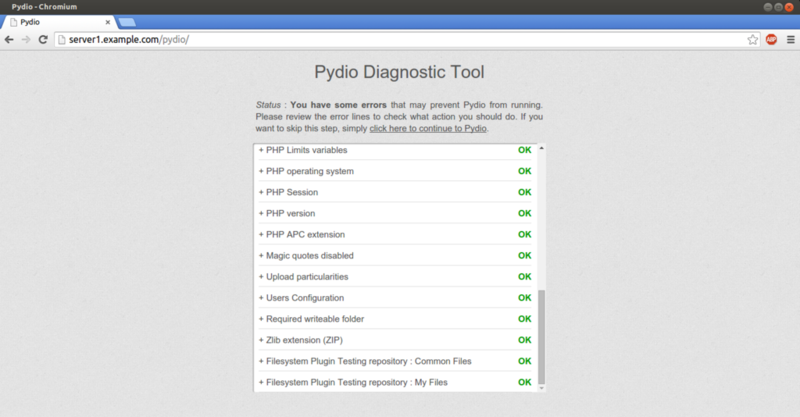 Press Install Pydio Now. 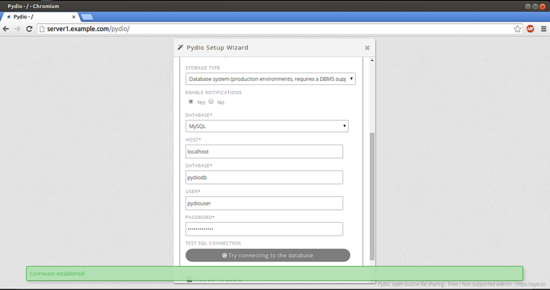 It will take some time for initialization. Now we are ready for the show, refresh the browser and login as per the credentials created above. 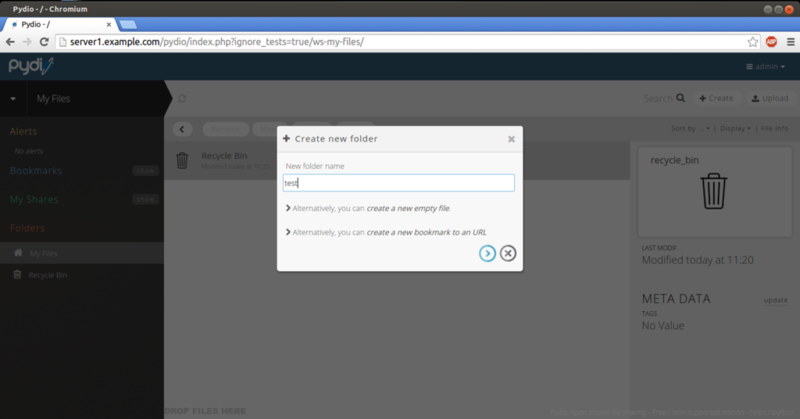 Now you can add files and folders and share it over the network. 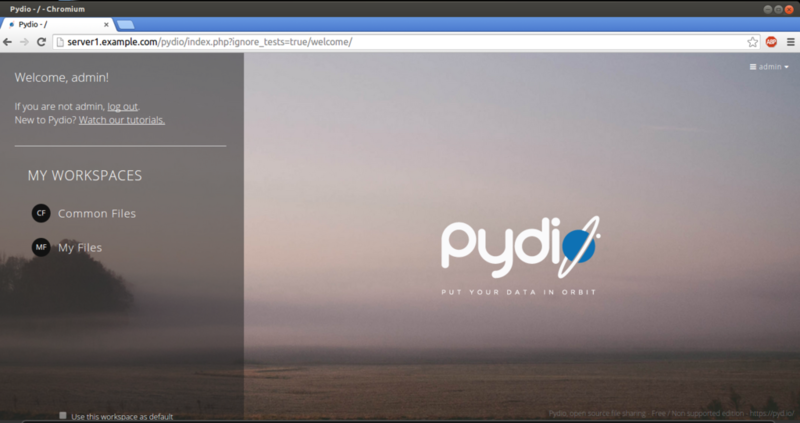 I use nginx and my only problem is that I do not know shared, it always shows me a 404 error when I create the custom link. Very good and clear tutorial ! 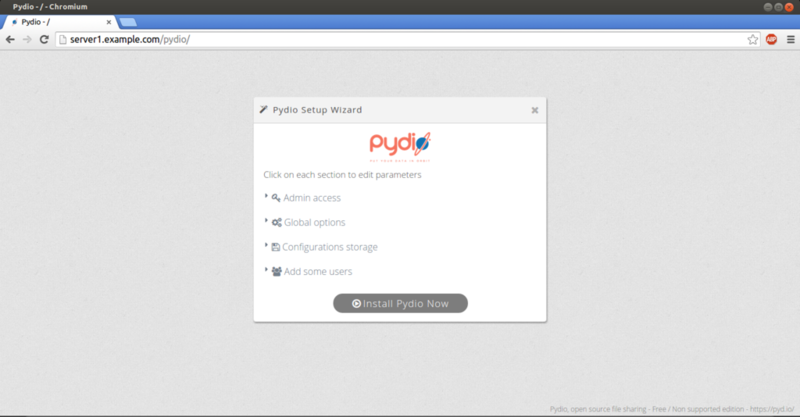 How to install Pydio on CentOS 7 as virtual machine image in ova format, compatible with vmware and virtualbox.